Events Medical Cover – What you need to know! RTC Medical Solutions Ltd offers CQC Registered Ambulance Services and Events Medical Cover nationwide. Did you know that only a CQC registered ambulance provider can legally provide both Blue Light Ambulances and Healthcare Professionals (such as Paramedics and Nurses) to events in England? Providers offering these services who are not registered with the CQC could be using loopholes or blurring the lines to avoid registering. The Health and Safety Executives opinion is that it is an Event Planners responsibility to ensure that they employ a competent medical provider? 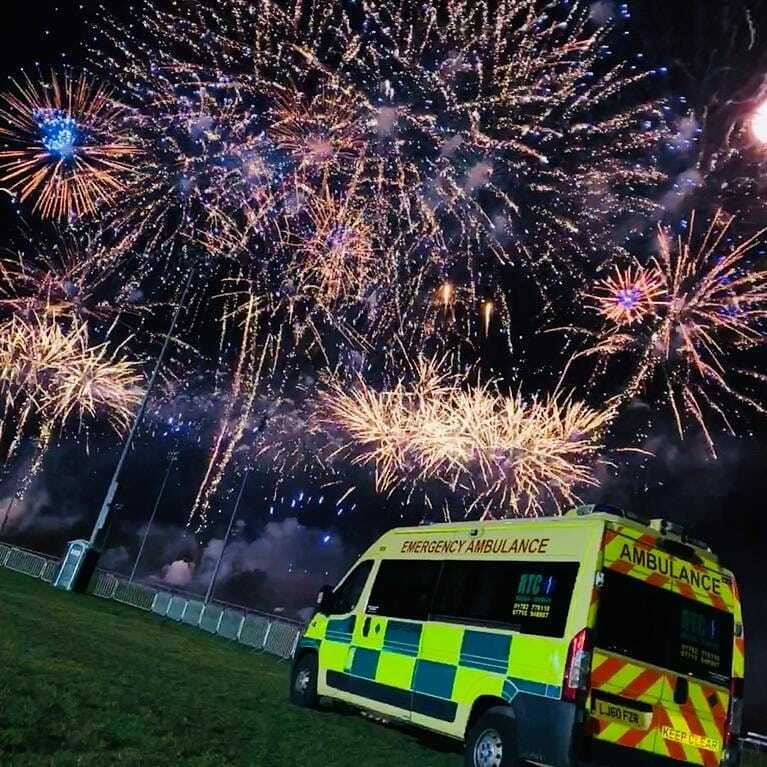 Let’s throw an example out there… You are running an event with 4000 people and your risk assessment says you need a Paramedic or Nurse led cover with Emergency Ambulance and 4 First Aiders. You ring around a few companies for Events Medical Cover and bingo… you find a company who will provide you with just that. So you’re all covered right? Wrong! Ambulances are CQC registered (England only) & insured as some providers ambulances are not registered? Can they provide evidence of insurances? Do they have contingencies, policies and procedures to ensure your events medical support will run safely? First Aiders are trained in safeguarding and manual handling? Medical equipment is serviced and calibrated? These are just a few of the due diligence checks you should perform to ensure that your medical support is adequate. As the event organiser you are responsible for ensuring that the medical support you contract is competent. Overseen by our Health and Safety Officer and Healthcare Professionals. Don’t take the risk, after all the book stops with you as the event planner! Let us take the stress away from your Event Medical Cover… we will work along side the Ambulance Service, SAG and provide adequate cover with guidance from the Purple Guide to ensure visitors to your event receive the best possible care. Whether your event is a small fete or concert or major music festival we can help with your Events Medical Cover. Contact us now for more information on the services we can offer. https://static.eventsmedicalservices.co.uk/uploads/2016/07/logo.jpg 0 0 James Shemmeld https://static.eventsmedicalservices.co.uk/uploads/2016/07/logo.jpg James Shemmeld2019-01-31 23:26:522019-01-31 23:56:13Events Medical Cover - What you need to know!